Pipelife Ireland has hosted a successful open day to launch the new Qual-Pex Plus+ ‘Easy-Lay’ Pipe. Marking 30 years since Pipelife reshaped the plumbing industry by introducing Qual-Pex Pipe to the Irish market, the company has now unveiled the latest evolution. The new Qual-Pex Plus+ ‘Easy- Lay’ Pipe is more than meets the eye. 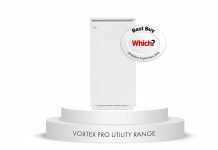 It has been specially designed for the installer and it is amazingly flexible, incredibly efficient and a versatile system. The official launch coincided with the opening of the company’s new state-of-the-art Renewable Training Centre by Ger Healy, Managing Director of Pipelife Ireland and UK. 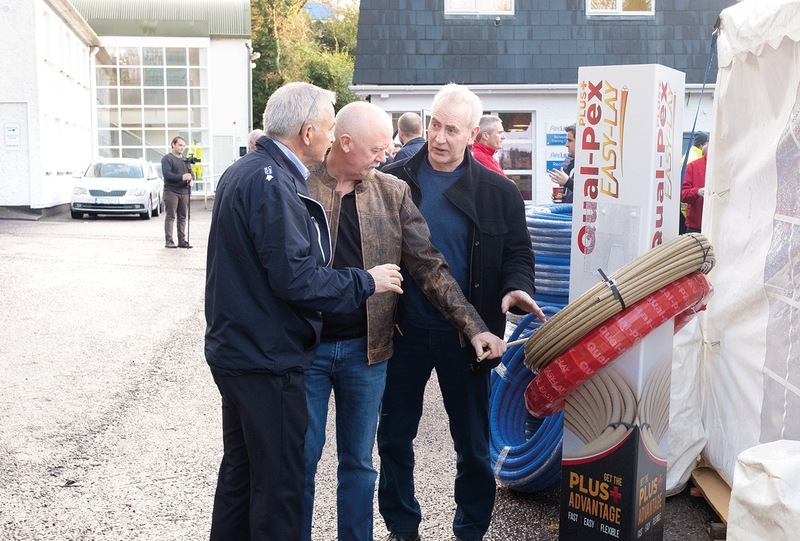 Guests – who included contractors and key directors from the major merchant groups – watched a number of videos highlighting the benefits of the new Qual-Pex Plus+ ‘Easy-Lay’ Pipe over the old Qual-Pex Pipe and other competitors before getting their hands on the new product. This was followed by a four-course dinner at Fota Clubhouse and entertainment by Matt Cooper of the Last Word on Today FM. 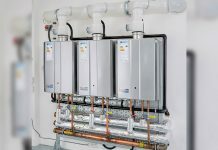 Ger Healy, Managing Director, commented, “The launch day marks an exciting development for Pipelife Ireland with the introduction of our new Qual-Pex Plus+ ‘Easy-Lay’ Pipe and Renewable Training Centre. “Our Qual-Pex Plus+ ‘Easy-Lay’ Pipe is a revolutionary new product that will be available in Irish sizes of 1⁄2”, 3⁄4” and 1” in coils and lengths and also in 16mm, 20mm, 26mm and 32mm in a white coil. 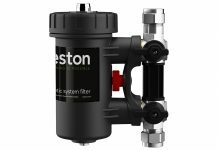 The essential feature of our new pipe that differentiates it against other products on the market is that we have made it really truly flat-lay making it easier to handle and install. 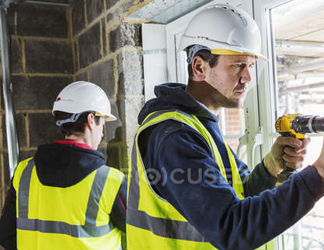 “The one thing that Pipelife has always prided itself on is the full support that we offer all our customers in terms of product and installation support. We can assure you that this will be no different with our new Qual-Pex Plus+ ‘Easy-Lay’ Pipe as we will be offering our market leading 50-year guarantee. Padjoe Barry, National Sales Manager, added, “These are really exciting times for Pipelife. We have always had a strong focus on providing a great service to all our customers and with the launch of our new Renewable Training Centre this will allow us to support them with hands-on product training and installation techniques. The new Qual-Pex Plus+ ‘Easy-Lay’ Pipe will be available from all leading merchants from January 2019.